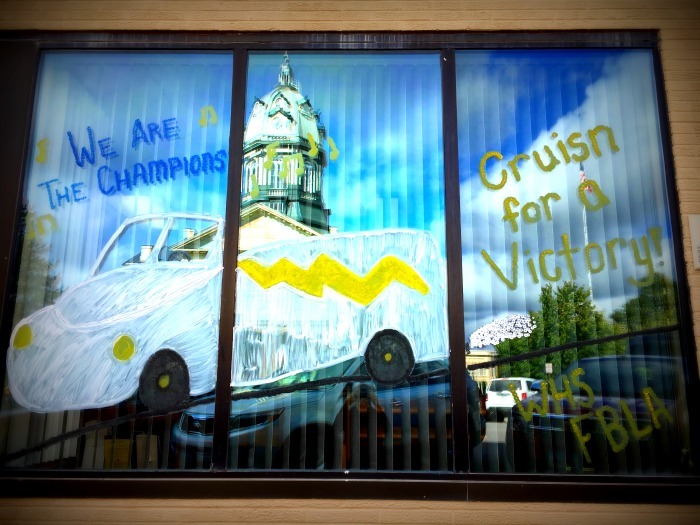 Good luck at tonight’s Homecoming game vs. Creston, Winterset Huskies! The pep assembly at the high school starts at 1:20 pm, parade at 2:30 pm, and game at 7:30. 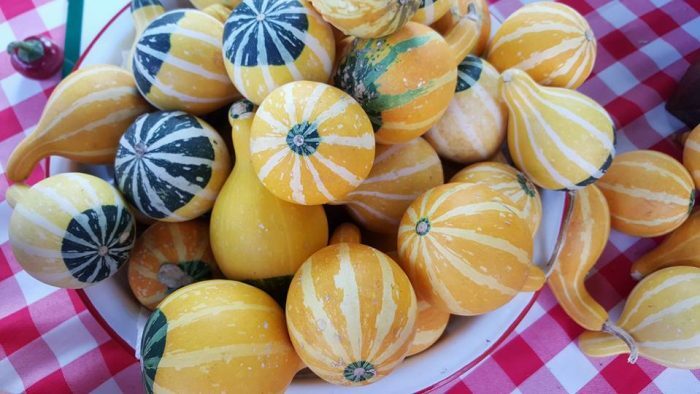 Saturday morning, October 1st, marks the last Madison County Farmers’ Market of the year; 8:00 am to noon on the courthouse lawn. 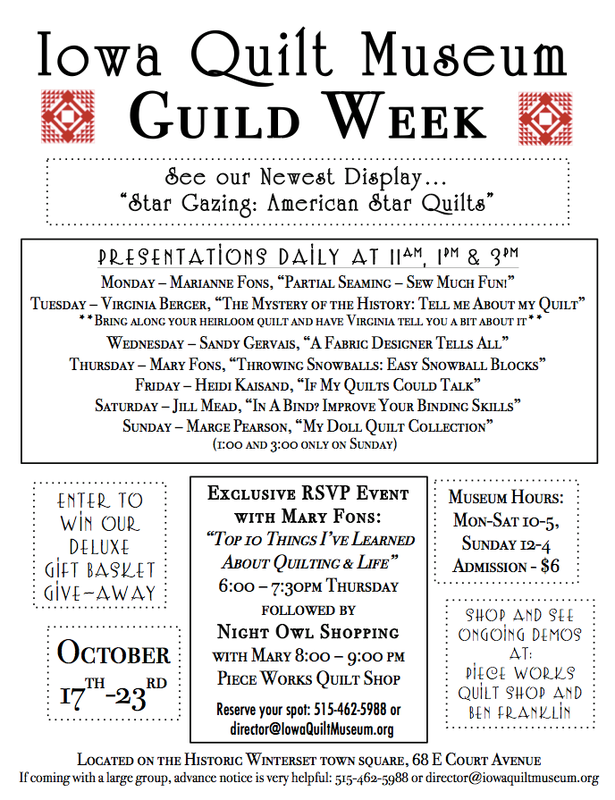 This Saturday evening from 6:00 to 8:00 pm, guests are invited to an opening reception at the Iowa Quilt Museum to debut their new exhibit, “Stargazing: American Star Quilts.” Enjoy the beautiful exhibit along with drinks, hors d’oeuvres and live music. Admission is $10, and tickets can be reserved here. 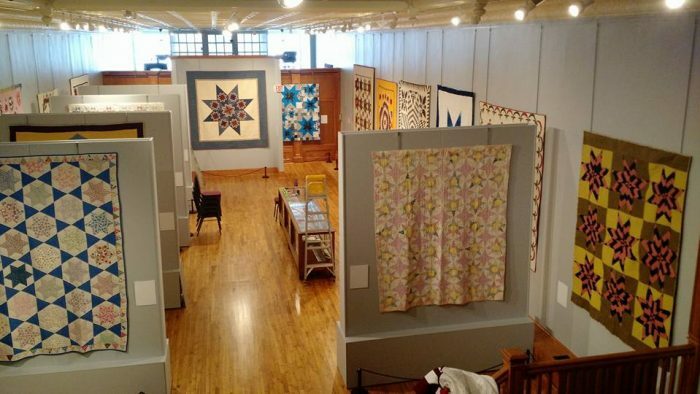 Once again, this exhibit features over 30 quilts, both antique and contemporary, and all are themed on one of the many star patterns notable to American quilting. It opened on September 29th. 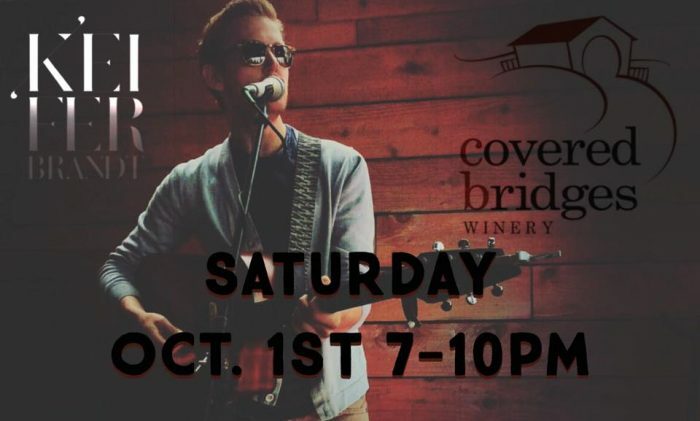 After a short break for harvest and moving, Covered Bridges Winery is back with Music at the Winery this Saturday evening at their new facility from 7:00 to 10:00 pm with Keifer Brandt. If you missed dinner, they’ll have a light meat and cheese platter for sale. $5 cover per person at the door for a great evening of relaxation and entertainment! 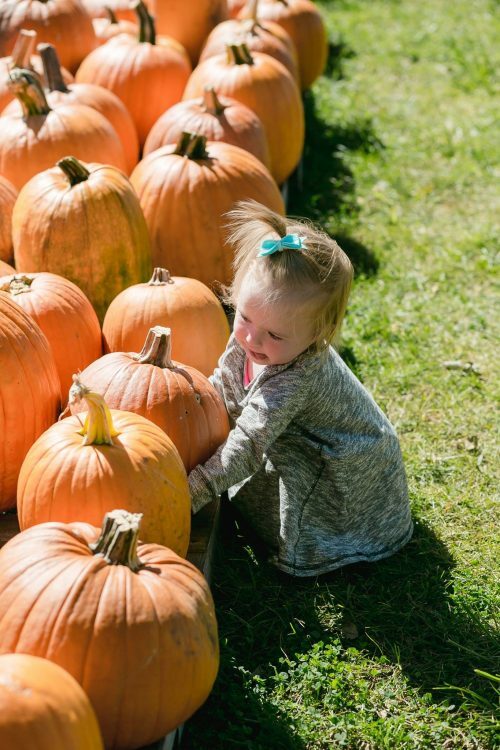 The Pumpkin Ranch is open this weekend from Friday through Sunday (see their website for hours), and this Sunday is one of their three “Free Family Photo Days” provided by Allison Knox Photography from 1:00 to 3:00 pm. 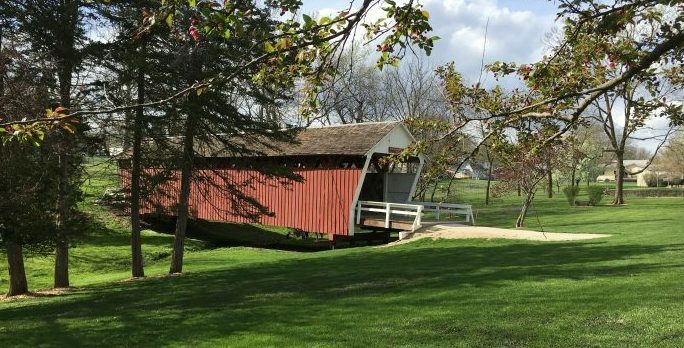 Of course, next weekend is the 47th annual Covered Bridge Festival! 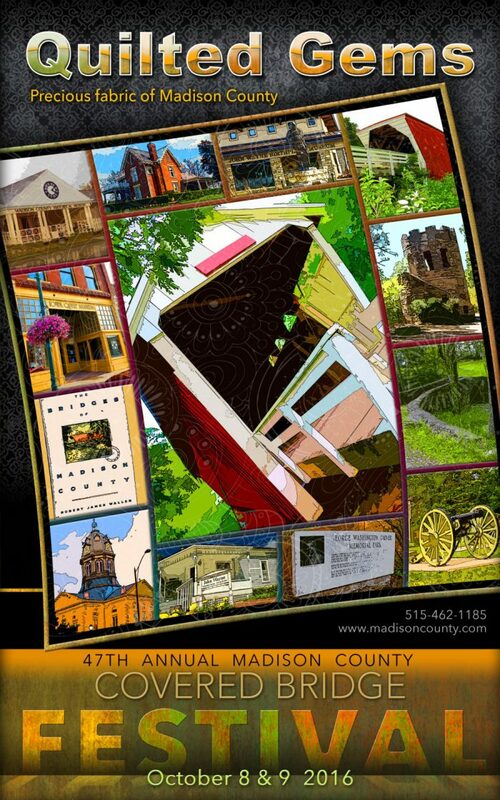 My next two posts will provide a full lineup of events for the big weekend, as well as a preview of the many quilt-related activities that are happening during this year’s festival as part of the theme: “Quilted Gems, Precious Fabric of Madison County.” In the meantime, you can find all the information you ever wanted to know about Covered Bridge Festival at the Madison County Chamber website: www.madisoncounty.com/covered-bridge-festival. Get your tickets today for Meet Me at the Bridge, held on Saturday evening, October 8th, beginning at 6:00 pm at the North Shelter in Winterset City Park. This outdoor event features live music and food, and is a great way to gather with friends and family at the end of the first day of the Covered Bridge Festival. A smoked pork sandwich meal for $10 is offered, with wine tasting and sales by Covered Bridges Winery. Crosswind will perform, so bring your dancing shoes! 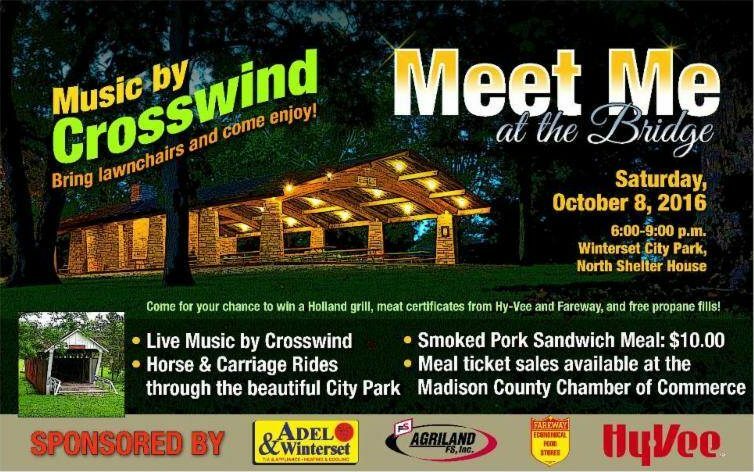 You’ll also have a chance to win a Holland grill, meat certificates from Hy-Vee and Fareway, and free propane refills courtesy of Agriland. Tickets for the meal can be purchased at the Chamber of Commerce office. It’s also time to get registered for the annual Covered Bridge 4k/8k race in City Park on October 8th. Register TODAY (Friday) for the best price, and good luck to all! Here is the link to register online and find more info, and or click here to download a printable race brochure and registration form. Thank you to the Winterset Rotary Club for hosting and organizing this great annual activity. 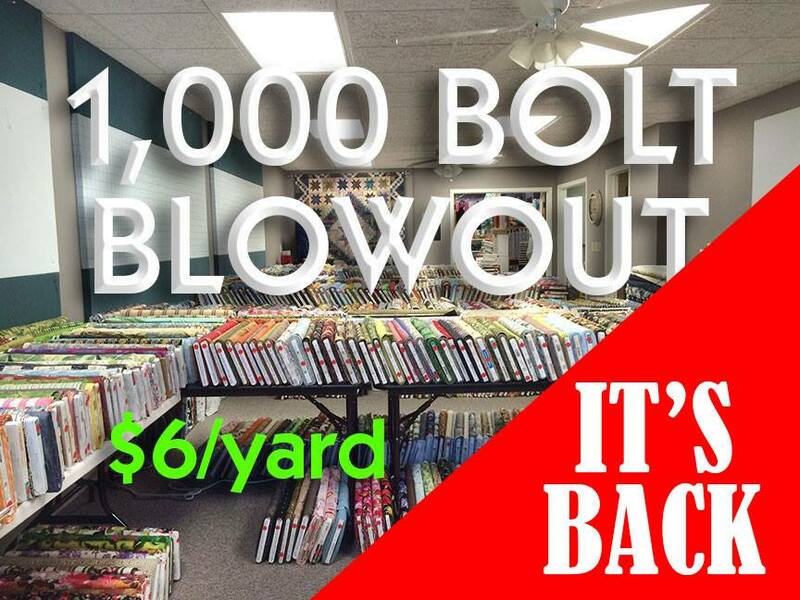 On October 3rd through October 9th, Piece Works Quilt Shop will be having their second 1,000 Bolt Blowout. Once again, their classroom will be filled with 1,000 bolts of fabric marked at $6/yard. Supplies are limited, so be sure to come early to get the best selection. 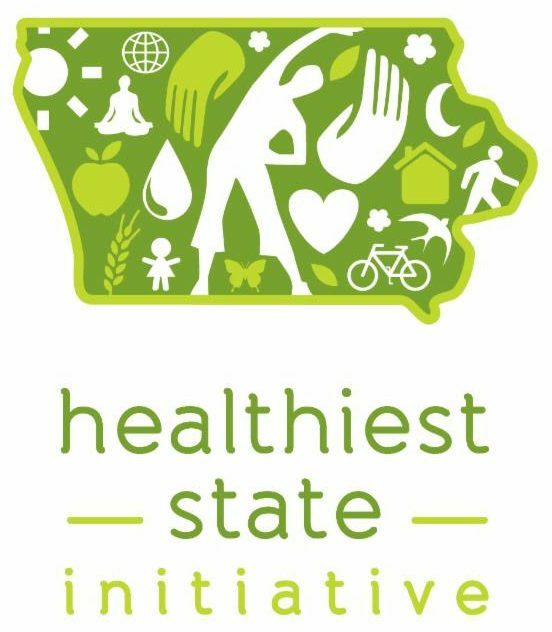 The 2016 Healthiest State Walk in Madison County will happen Wednesday, October 5 anytime between 11:30 am and 1:00 pm. 1K routes have been established from Fareway, Hy-Vee, Montross Pharmacy or Madison County Memorial Hospital. Help make Madison County healthier! For more information, contact Chris Nolte at 515-462-9749. Give ISU Extension Specialist Mary Krisco an hour of your time, and she’ll save you more hours than that per week in the kitchen. 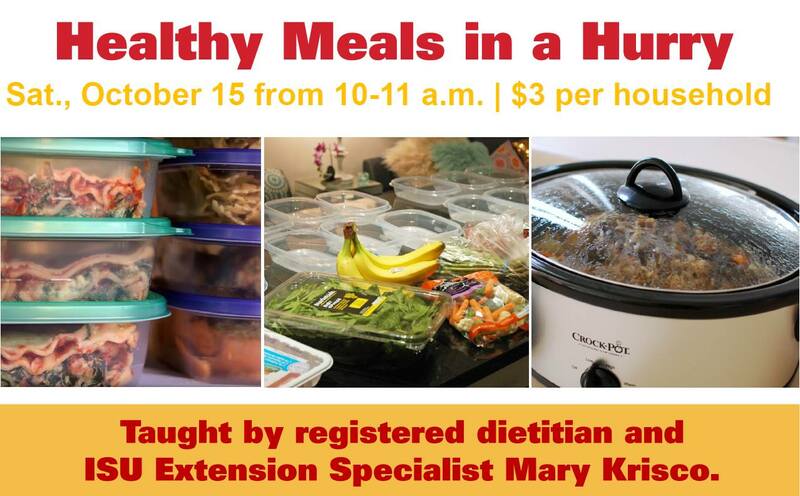 Healthy Meals in a Hurry will be held on Saturday, October 15 from 10:00 am to 11:00 am at St. Paul Lutheran church in Winterset. This food prep class for busy lifestyles will teach guests not only how to save time in the kitchen, but also money, by learning to make up to 14 main dishes in one day and freezing them for later serving. Sometimes freezer meals, depending on how they are prepared and reheated, can cause illness in those who eat them. Krisco will address how to serve make-ahead meals safely. Each participant will receive the “Healthy Meals in a Hurry” recipes and prep guide and make their own healthy, money-saving mixes for cream soup casserole base, taco seasoning and onion soup during class. The cost to attend is $3 per person. Register by Oct. 12 by contacting the ISU Extension office in Madison County at kboldman@iastate.edu or (515) 462-1001. The Winterset Dog Park Project invites you to attend their 2nd Annual Soup Supper at the American Legion Hall on Friday, October 14th from 5:00 to 8:00 pm. Tickets are $10 each or two for $15. Message them on their Facebook page for tickets in advance, or see them at their kissing booth at the Covered Bridge Festival! 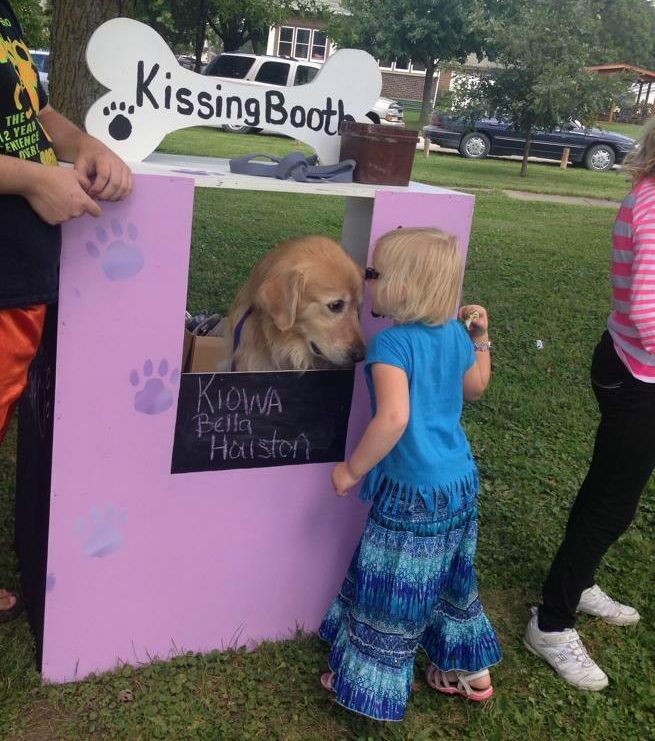 All proceeds go to the fence fund for the dog park. 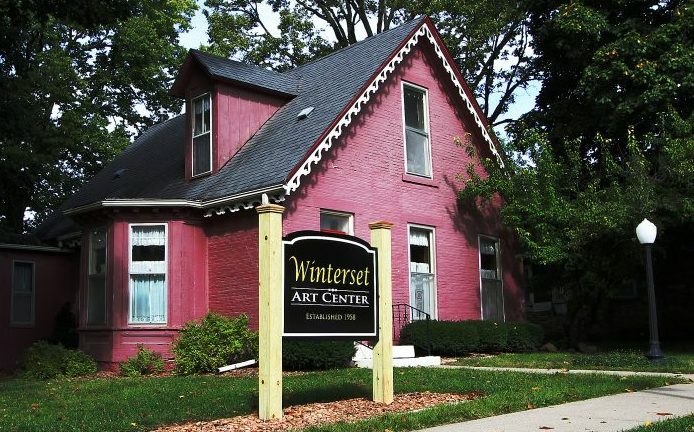 The Winterset Art Center is offering two new classes this fall: Art Adventures for Preschoolers on Wednesdays from October 19th through November 9th, and a Wood Carving Workshop on Tuesdays from October 18th through November 15th, with award-winning and nationally known wood carver Randy Hansen. Class sizes are limited, so check out all the details at wintersetartcenter.net/classes or email them at wintersetart2016@gmail.com. Midwest Heritage, a subsidiary of Hy-Vee, Inc., is now accepting applications for their award-winning program to help youth get a start in the cattle industry. The goal of the Midwest Heritage Youth Heifer Program is to help future young farmers gain interest and knowledge of the beef cattle industry by awarding bred heifers to program recipients. Midwest Heritage will grant up to five 7th and 8th graders, three bred heifers each. The program will span five years. During this time, recipients are responsible for management of the herd including daily care, records and breeding. At the conclusion of the five years, recipients are responsible for paying back the market value of the three bred heifers. When submitting applications for the program, the participants are required to list their goals for the program, their future, give descriptions of how they would promote it within their communities and submit three letters of recommendation. Students from Fremont, Lucas, Madison, Wayne and Warren County are invited to apply. Applications are being accepted until October 31, and can be found online at www.mhbank.com/youth-heifer. 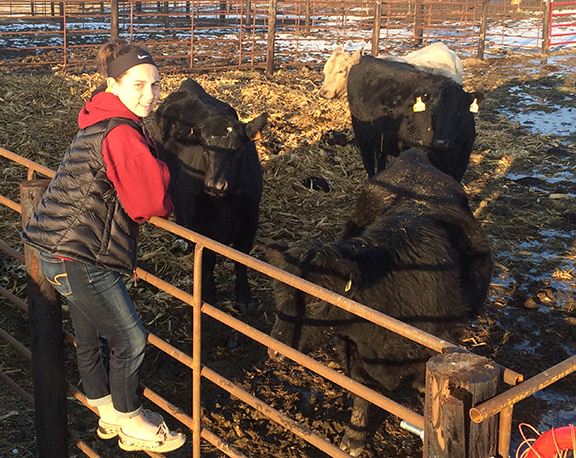 Jenna Tlach of Prole was one of four students awarded with three bred heifers in January of 2016 as part of the Youth Heifer Program by Midwest Heritage. That’s all for now. More Covered Bridge Festival information coming soon! Have a great weekend in Winterset, and thank you for reading The Winterset Citizen.